Article 31: All children have the right to relax and play, and to join a wide range of activities. Our children are encouraged and stimulated to reach their full potential. Everyone within the school community understands their rights and is welcomed into a safe, healthy,happy and secure environment. Every child and adult is valued and respected for their individuality and for the contributions they make. As a 'Silver' Rights Respecting school, each class has a class charter. 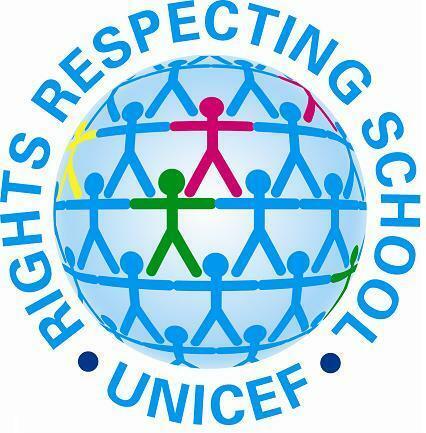 The children in each class identify which of the rights from the United Nations Convention on the Rights of the Child they would like to incorporate in their class charter. Article 3: The best interests of children must be the primary concern in making decisions that may affect them. All adults should do what is best for children. When adults make decisions, they should think about how their decisions will affect children. This particularly applies to budget, policy and law makers. Please see below to read the 'Public Sector Equality Duty Policy' to find out more about Courthill's and HLP's approach to promoting equality. Our whole school community has an agreed set of values that we explore and develop throughout the academic year. This happens in assemblies, in class and around the school throughout the school day. We aim to develop children's understanding of what are often abstract and complex issues, and provide them with the language to talk about them. Respect – children learn that respect is treating other people, places and things the way you would want to be treated. You can show respect to others by listening, being polite and always being truthful. Responsibility – we teach children that this is doing your job, trying your best and respecting each other and our school environment. Responsibility is caring and being fair, helping others and helping to make the world a better place. Problem solving – children learn that they have the skills to solve problems – either by themselves or with help from others. Problems are encountered in life but it is how we approach them that enables us to deal with them in a positive way. Independence – this value empowers children to make their own decisions with confidence and motivation. Independence encourages the children to reflect on their own learning. Importantly, they learn that it helps them to solve problems – either on their own or with help from others. Resilience – children learn that hard work and effort are rewarding and lead them to success. Resilience is learning that challenges in our learning make us stronger and that it can be very satisfying to make mistakes and learn from them. Teamwork – this is a lifelong skill which enables children to build positive relationships and recognise that everyone has a valuable contribution to make. Creativity – children learn that we are all capable of generating ideas and implementing them. We don’t always have to follow a plan…and sometimes the most exciting things can happen when we follow our thoughts and ideas. This is a key life skill for the future. At Courthill the British Values underpin all that we do.